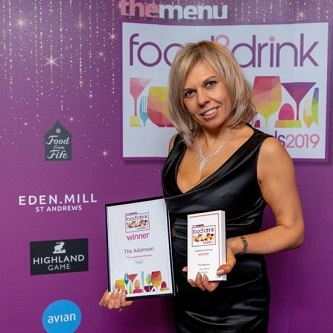 Tayside and Fife’s top chefs, drinks producers and restaurant and bar owners were honoured at The Courier’s Menu Food & Drink Awards which took place at the Old Course Hotel in St Andrews at the end of March. Julie and the bar team were absolutely delighted and proud to be awarded Cocktail Bar of the Year, sponsored by Eden Mill, for The Adamson Bar. Celebrations continued long into the night!